Reports emanating from the corridor of Liberian Football says the oldest football club in Liberia may not participate in this season’s local football league. The report says financial issues are key reasons while the Invincible Eleven may not participate in this year’s events. IE struggled in the last football league season and could have been relegated to the third division had relegation taken place. 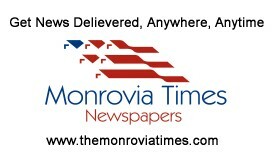 Sources at the LFA confirmed to The Monrovia Time that IE officials have asked the football house to withdraw the club’s participation from the upcoming league season as they are facing several constraints. According to our sources, a delegation of IE supporters and officials visited the FA Thursday to verbally appeal to the LFA to cancel the club’s participation this season. But the sources said the FA had warned IE that they could be relegated to the third tier of Liberian football if they failed to compete in season in keeping with the law. Sources within IE also confirmed the report saying the club has no money to get new players and prepare for the national league. Another IE source said the club has been unable to raise the needed funding to recruit new players, pay off players for the last season and get a technical team. In keeping with the LFA rules, IE will face relegation once it failed to compete in this season’s 2nd division league because the club has been placed on the fixture. The LFA league kicks off in two weeks’ time with matches in the first, second and women divisions. The league fixture is expected to be released after Friday’s EC meeting according to reports.